MAK Grills Mobile™ allows MAK Grill owners to remotely control and monitor their grills via our web-based operating system using MAK Grills Wi-Fi chip that communicates with the grill owner’s wireless router. 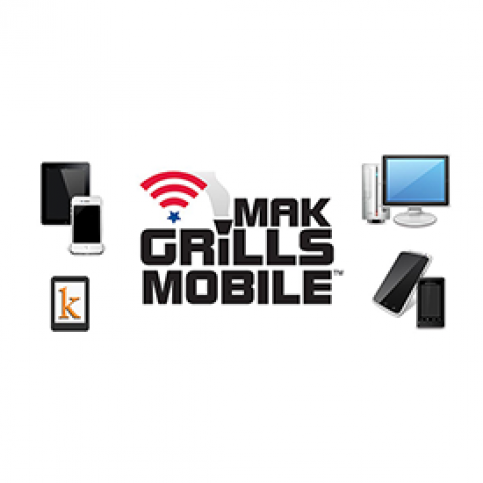 MAK's Wireless Web Application allows you to operate your grill using any device with a web browser. This is not a common "smart phone app" that only runs on Apple or Android platforms. A Kindle, smart phone, iPod, tablet, laptop or desktop computer, can all be used. MAK Grills Mobile gives you full operational control of your grill, rather than just monitoring temperatures. MAK owners can now change cooking temperatures, set-up cooking programs, log cooking times and food temperatures, and even turn off the grill. All of this is achievable from the comfort of your home, office, friend’s house or while playing a round of golf. 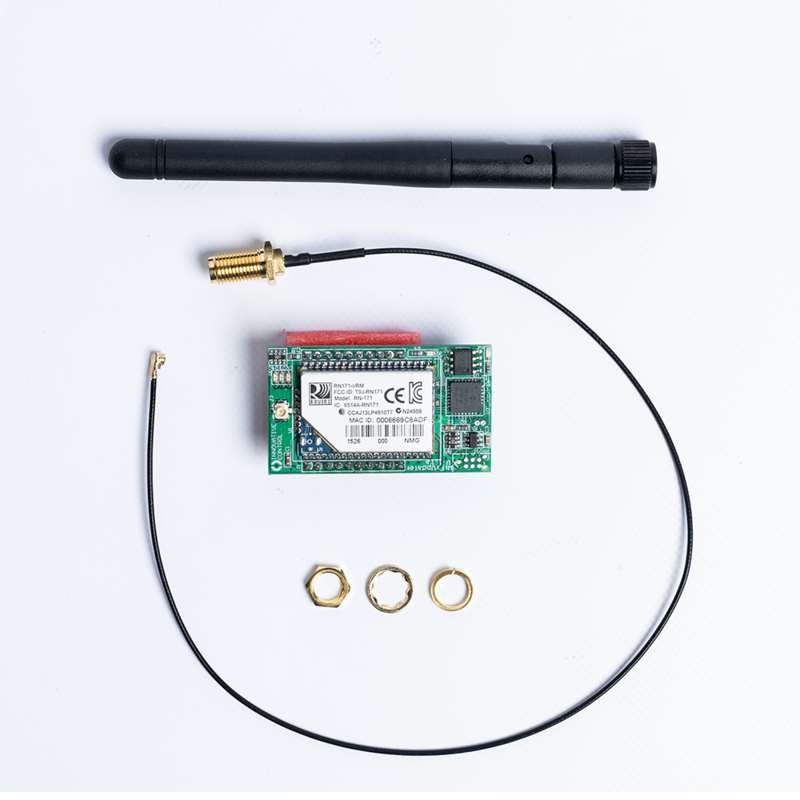 Allows the set-up of multiple food monitoring probes, each with programmable names. Place one in chicken, another in a pork shoulder, and a third probe in a pot of chili. Each probe can have a separate temperature alarm set to alert you when the food is done via blinking display, audible alert, even email and text notifications. A count down timer and elapsed timer allows you to track all of your cooking times. Wi-Fi Connection status alerts you if connection to the grill is lost. Grill temperature and status are reported in real-time to the MAK Grills Mobile website. 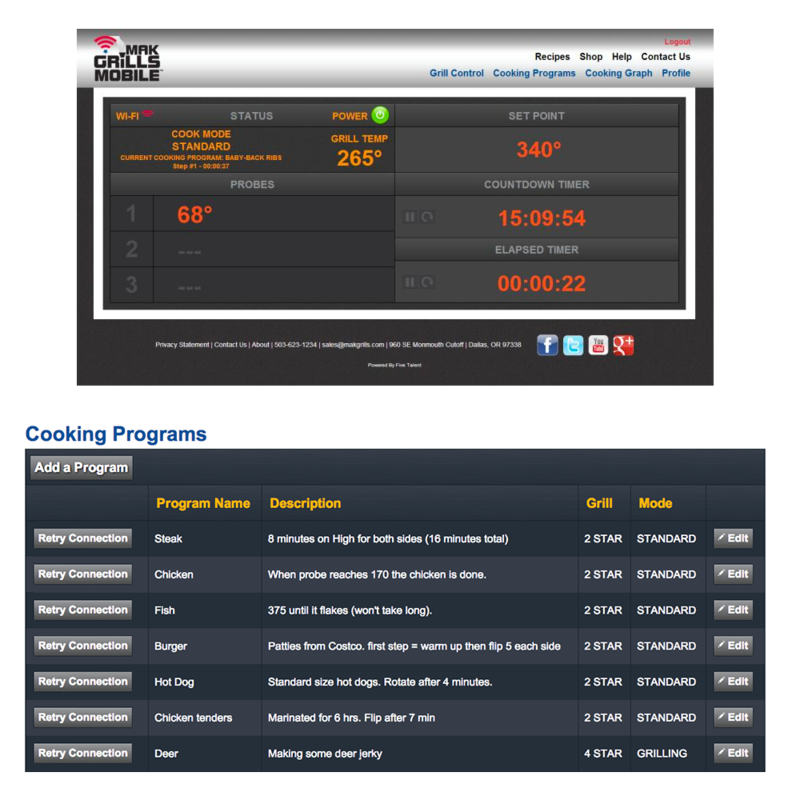 Cooking Programs can be set-up, saved and named for future use. This will allow you to automatically change the grill temperature based on time and meat probe temperatures. With unlimited steps and programs you have unlimited control over MAK’s ramping technology. Built-in safety features like the power off button and default smoke control allow the user to feel safe and confident while using our wireless technology. MAK Grills Mobile: Now You’re Smokin’! Wherever You Go!